Jio Phone has launched finally after many rumours around the new release of the basic mobile phone. But, the company planned to release the phones to the public from August 2017. One of the biggest industry in the world is Reliance Industries Limited (RIL), while the managing director launched most awaited 4G VoLTE feature phone which made in India at the anniversary event of RIL’s 40 years. Apart from introducing the new and cost free mobile phone, he shared the wide range of information about the growth of Reliance Industries Limited. 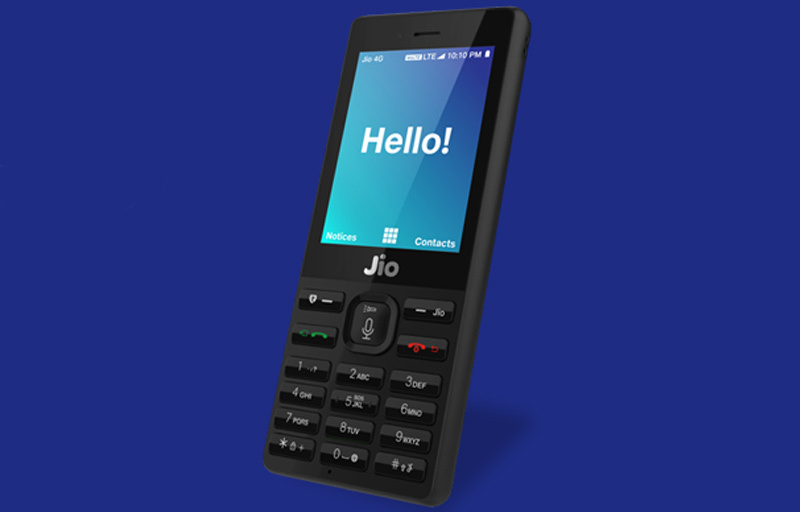 On this Friday, the company’s chairman Mukesh Ambani launched 4G VoLTE-supported feature phone which named as Jio Phone at Annual General Meeting (AGM). By using JioPhone TV Cable, users can connect Jio Phone with any TV (not only on a smart TV). Absolutely, we all can able to see the big lineups to buy this free phone as Jio SIM launch. Whereas, the company allows the users for the unlimited voice call. It definitely effects all other networks in India. Some of the existing Airtel, Vodafone and other users may migrate to the Jio network due to this announcement. Also, the Jio Phone is one of the most disruptive launches in the hardware industry in India. Buy tour Jio Phone as first by pre-booking which will begin from August 24, 2017. As per the update by Mukesh Ambani, the company will collect Rs. 1500 refundable security deposit initially to avoid misuse the cost-free mobile phone. The money will be back after three years to us again. As first, the Jio Phone will provide to the beta tester on August 15 (as a mark of 70th Independence Day of India). Then, the company planned to start the pre-booking to all the consumers on August 24 onwards. So, visit the nearest Reliance Jio Retailer or log in to the My Jio app to place a pre-booking. As per the Mukesh’s update at AGM, the shipment of Jio phone will begin from this September 2017. Five million phones will available on every week after the launch.